As Helen Keller so eloquently stated, sight is not everything if one does not have vision. Vision is more than a dream to achieve something, vision is being able to see obstacles, goals and the right path to achieve your dream. Visual translation is that tool that can convert your dream into a tangible vision. By utilizing the talents of a visual translator or graphic facilitator, a person or group can develop visual strategies that help solidify the future and lay the path to success. Creating a thINKing canvas, you are able to convert the intangible dream into a tangible vision plan and as I always say, ‘the best plan is one seen by all.’ Mere words or text cannot always articulate beyond the content of the communication. Graphic maps can help show links in conversation, uncover gaps in thinking and offer insights to other opportunities. 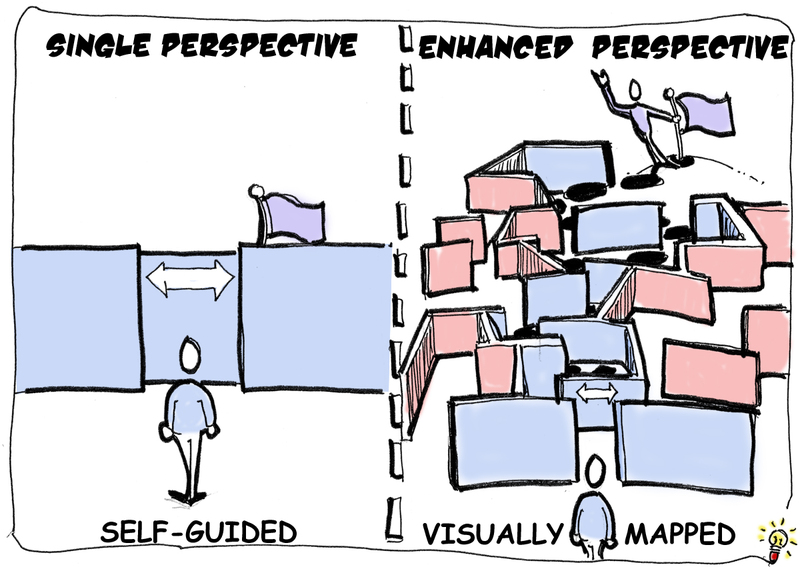 Using journey maps, mind mapping and graphic-notes, entrepreneurs, small businesses and organizations can create a tangible visual that everyone can see and understand. Graphic maps provide the articulation that words or text sometimes overlooks or understates and can put everyone on the same path with the same goals in mind. Once everyone has the same vision, than everyone can constructively work towards success. That’s having sight with vision.